Dr Andy Harrison is a Principal Fisheries Consultant at Bournemouth University Global Environmental Solutions (BUG). His research and professional interests span all aspects of fresh water fish ecology; augmenting a broad ranging aquatic ecology background. Andy has a particular interest and expertise in hydroecology, migratory fish behaviour and ecological monitoring, including assessing the population status of rare and threatened fish species. He has an extensive environmental consultancy track record, having managed in excess of 50 projects, ranging from small scale pilot studies to long-term environmental monitoring programmes. 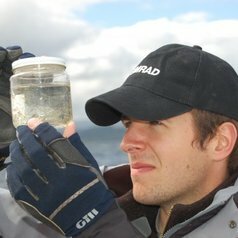 Andy has also published scientific papers in peer-reviewed international scientific journals on topics including glass eel migratory behaviour, fish population assessment, and the status of the endemic Irish pollan. On a voluntary basis, Andy is also a Trustee of the Mahseer Trust, working to protect the iconic mahseer fishes of south-east Asia.